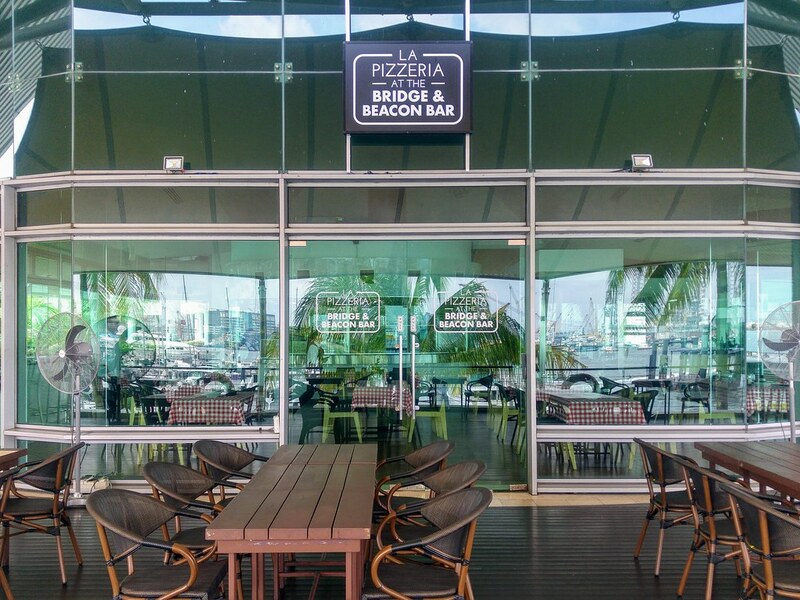 Tucked away in the western coast of Singapore, La Pizzeria at the Bridge & Beacon Bar is a newly opened Italian restaurant set within the premises of Republic of Singapore Yacht Club. With the guidance of Italian Chef Francesco Romano who runs a cheese factory in Italy and currently the corporate Chef of Thunder Road Group in Dubai, the team dish out the classics - namely wood fired pizzas and pastas, coupled with sides and desserts. 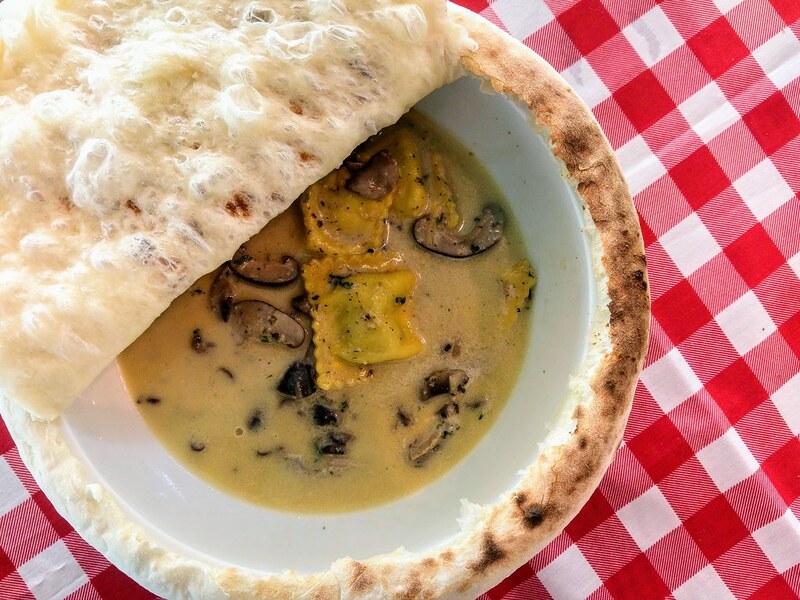 Speaking of which, we were told that the menu is put together with recipes passed down from the Italian's grandmother! 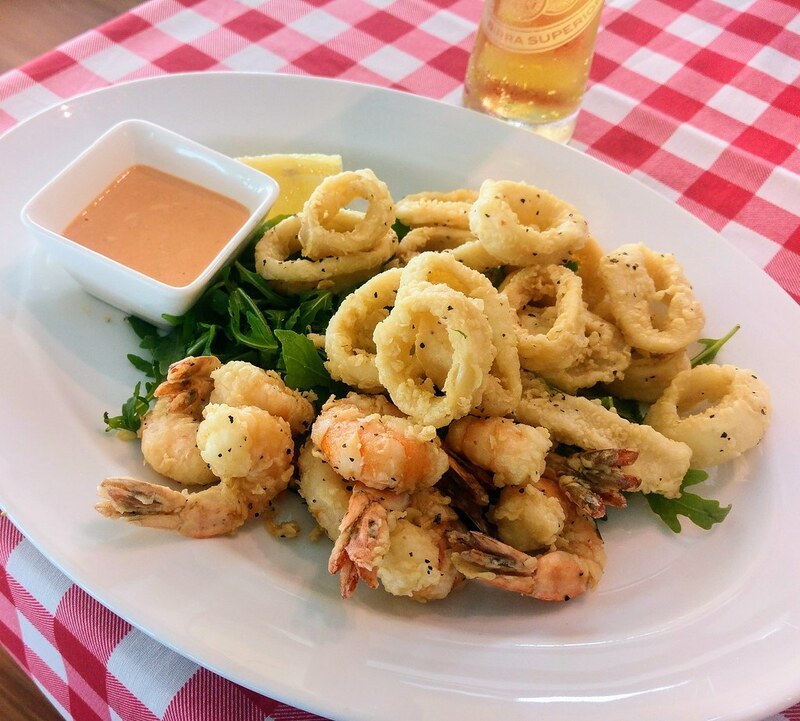 We started our lunch with Fried Seafood Platter ($29). I really like how thin and crisp the batter was, while the squid and Tiger Prawns remained succulent within the thin coat. I would usually avoid fried food but I had quite a portion of this as I could hardly taste much grease in the batter. For Pastas, we chose the highly recommended Spinach and Ricotta Ravioli ($25) and indeed, it is one of the most memorable ravioli I ever had. Covered with a bread over the huge bowl, the pasta was served piping hot onto our table. With anticipation, we watched as the bread cover was being sliced open, revealing the treasure hidden. Mouthwatering aroma from the truffle mushroom cream sauce set out in waves, exciting our appetite. The pasta was thin with a texture spot on. Each golden pouch was aptly filled with spinach and ricotta, and every bite there was always a right amount of everything - pasta, filling, mushroom, sauce. The Pizza we had was Primavera ($22). 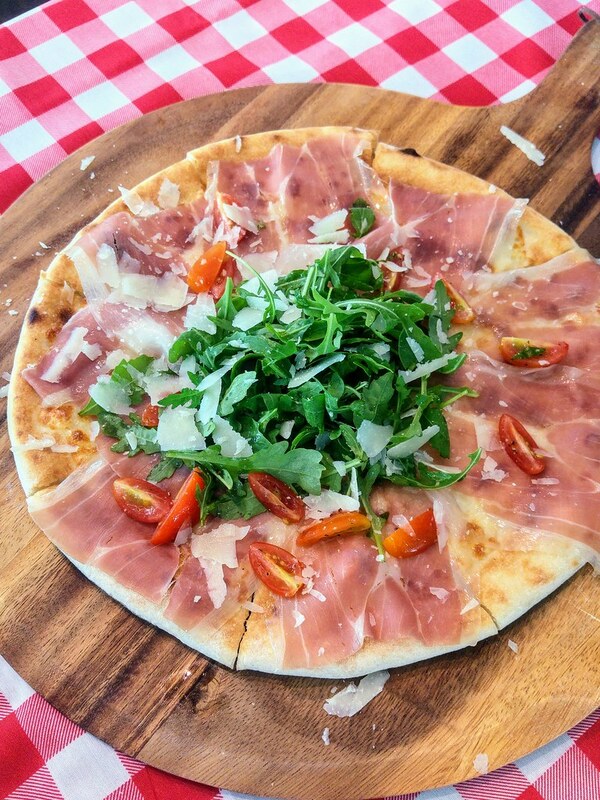 The combination of the ingredients was tasty - melted mozzarella topped with large slices of prosciutto, a heap of rocket lettuce and shaved parmesan cheese. I like how the sharp rocket leaves cuts the richness of the cheese and meat. What fell short of our expectation was the crust, as we felt that the dough was slightly under baked. 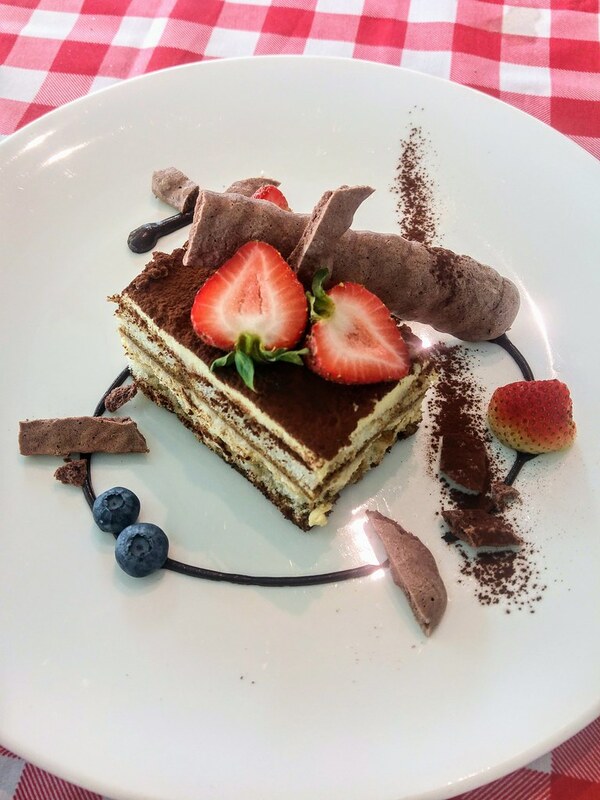 Summing up of meal was a beautiful piece of Tiramisu ($9). The sweetness was just right, if only there could be some liqueur added in. That would be perfect. 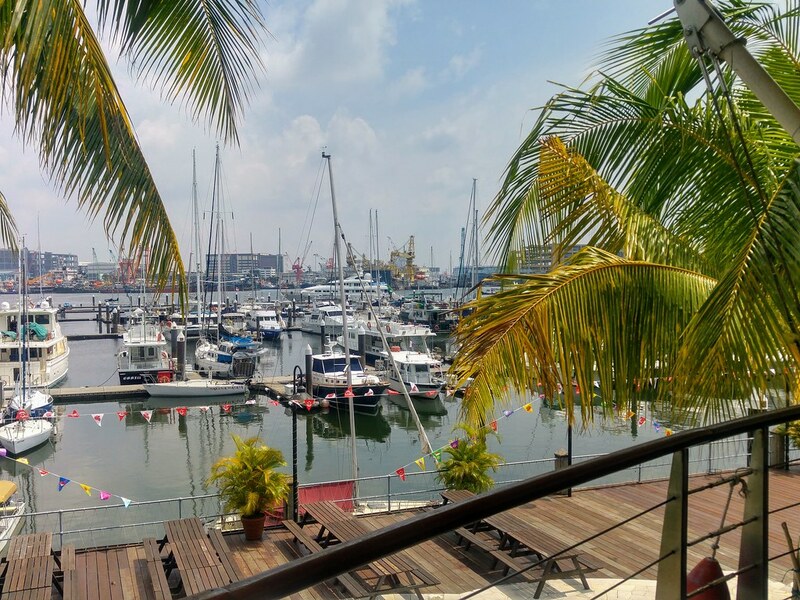 With such great view, atmosphere and spaciousness, I really enjoyed my lunch over here at La Pizzeria at the Bridge & Beacon Bar. If you are here for the dinner, try to be here slightly earlier to catch the sunset!